Stories for Young Readers, Books 1 & 2 are now available in Japan! I.P.I. 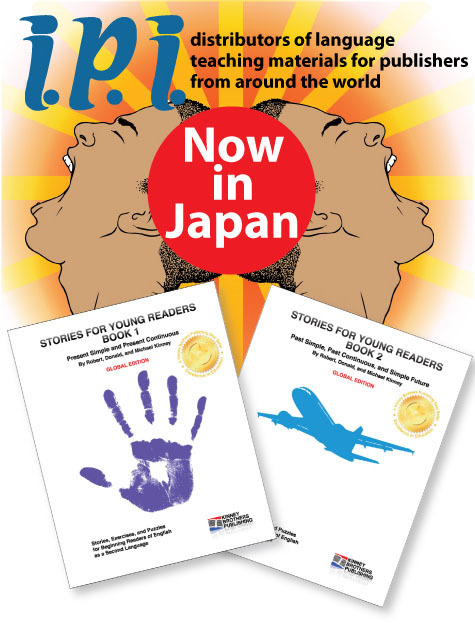 (Independent Publishers International), Japan’s leading distributor of language teaching materials from around the world, has officially released Stories for Young Readers, Book 1 and 2! We’re thrilled that teachers will now have these textbooks available at local bookstores! You can purchase from David Paul’s ETJ Book Service for special discounts! To be kept up to date on all our teaching materials, please add your name to our mailing list! 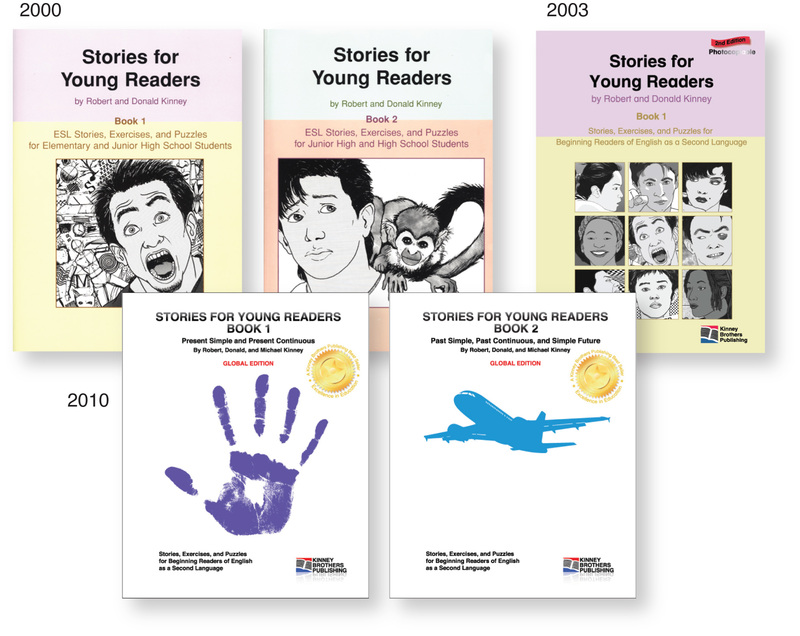 Stories for Young Readers was first published in 2000 when we three Kinney brothers, Donald (me), Robert (my twin brother), and Michael (the Younger), were living and working in Saitama Prefecture in Japan. Bob was teaching at a private, all-boys junior high school. Given few resources for teaching, he began creating his own lessons with pictures, questions, and puzzles that he hoped would inspire the boys to learn, or at least pay attention! 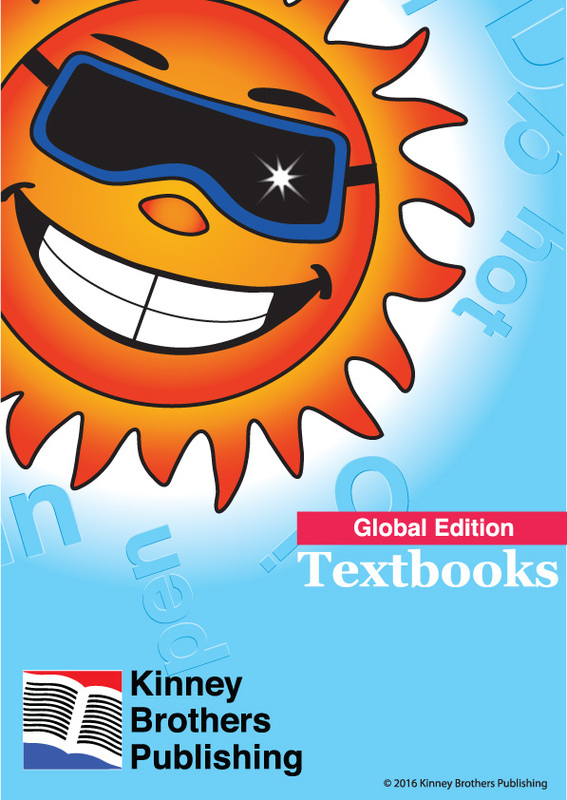 These lessons eventually turned into the first edition of the textbooks. We solicited several of the big ESL publishing companies with our book proposals but were roundly, though politely, rejected. Undaunted and confident that there was a place for our textbook ideas on the market, we took the bull by the horns, invested in desk-top-publishing software, and began designing the books on our own. The first print run of the books was through a Japanese company that, unfortunately, turned out very bad. The books arrived packed in newspaper, glue seeping from the spines, and ink that could be rubbed off with your fingers. The books had to be returned twice before they were even tolerable! It was a nightmare. Mike, our younger brother, took a stack of the books to a book fair in Tokyo, located the English Resource Bookstore kiosk and asked if he could place our books on their table. Surprisingly, they agreed and the books sold! A couple weeks later, they contacted us by fax requesting distribution rights, and so our publishing career began. It took nearly three years to sell that run of books and we were learning to negotiate heavy boxes of books in our living space. Over the years, the number of boxes became so great that we had to buy a large shed to store them outside. We started by selling faxed orders for individual books but eventually convinced the English Resource to order by the box. We also tried different methods for getting the books the one mile to the local post office; a large cart that rattled and swerved on and off the sidewalks, bicycles with one or two boxes strapped to the back, and finally a post office pickup system that worked as well as the drivers were grumpy and officious. Nearing the final boxes of that first run, we were determined to make Stories for Young Readers better. Bob consolidated the stories into a single textbook, and I designed a new cover on my new Adobe Illustrator program, replacing the cranky Quark Express that caused us so many printing headaches. We located a printer in Singapore (half the cost of printing in Japan! ), made arrangements for international shipping, and in 2003 Stories for Young Readers, 2nd Edition was born. A few weeks later, a 2nd edition of Q&A also arrived to replace the impossibly hokey first edition. These were minimum 1,000-book runs and we were having to split the boxes between our apartments; books in the living room, books in the kitchen, and books in my bedroom! In the interim, I had written a five-book phonics series for the kindergarten students I was teaching. 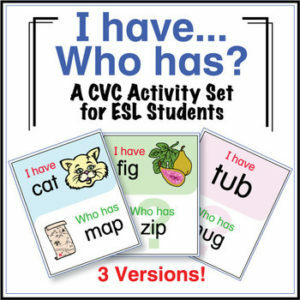 In 2005, unsure if we could find a place in an already crowded phonics market, we ordered print runs and submitted the textbooks to Nellies Bookstore (English Resource having been bought out). The series was curtly rejected. A few months later, they contacted us and agreed to begin selling them. Why the turn around, I’m not sure, but the phonics series solidified our presence in the publishing market in Japan. By 2010, Bob had completely reworked Stories into a solid, grammatically sound series of graded readings. By this time, we knew our time in Japan was going to be coming to an end soon. We were longing to return to the U.S. but didn’t want to be saddled with inventory or have to manage inventory in Japan from the U.S. That was when we learned about print-on-demand publishing at CreateSpace, a subsidiary of Amazon.com. It was a perfect solution for us and the Global Edition of Stories for Young Readers debuted on this printing platform. Just as we were getting ready to leave Japan, our books were opening up to a world market through Amazon.com. We made licensing agreements with I.P.I. (Independent Publishers International) who took on the phonics series and bought out our inventory – but was still on the fence about the newest Stories for Young Readers series. This year, 2017, I.P.I. agreed to begin publishing Stories, and we are thrilled that these textbooks will continue to be available in Japan. 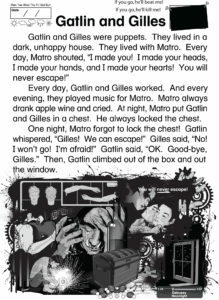 When Robert passed away in June of 2013, he had plans for a third book in the Stories for Young Readers series. 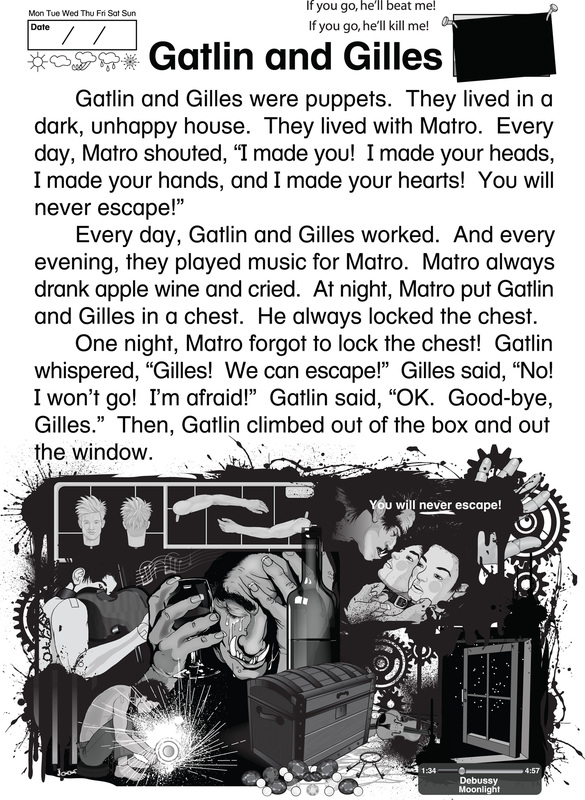 This was the first installment in that book and the last story he wrote and illustrated. At the time that he wrote this, he was teaching at Saitama University and was deeply interested in fairy tales and their histories. As he said in a discussion, he thought the story was useful as a parallel to larger cultural issues and would be useful for promoting discussion in class. You can click on the image to make it larger. Enjoy.